You may have heard that tarantulas are a delicacy in Cambodia and that spider venom has possible medical uses. However, that does not mean you want spiders invading your residential or commercial property. There are at least 45,700 spider species and 114 families that have been recorded by taxonomists. The fear of spiders is constantly ranked as one of the top phobias in America and with their high numbers, there’s a good chance that a spider will enter your home or business eventually. These creatures, though feared, are a natural form of pest control since they can catch other insects in their webs. Even with this benefit, an infestation can contaminate food and some species could spread health risks to human residents. 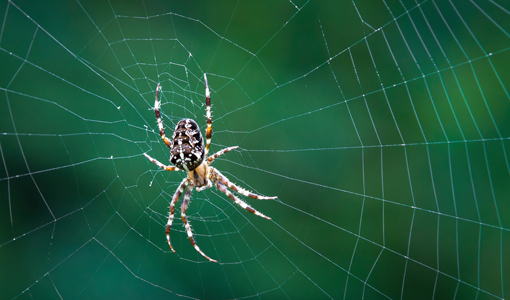 If you find a spider lurking around or stumble on a web, call A & J Pest Control today! If you are facing a spider infestation, fear no more! You can call the pest control experts at A & J Pest Control. We have been serving commercial and residential properties in the Central Illinois area for over two decades. 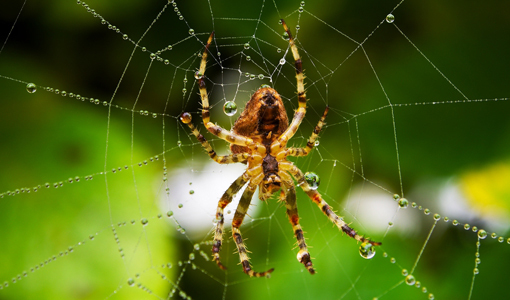 You can trust us to inspect your property for spiders and use our treatments to control them! With us, you don’t have to worry about pest control treatments harming the environment. We care about protecting your homes and businesses from pests while also protecting our planet from harmful chemicals. Not only are our solutions eco-friendly, but they are child and pet safe as well! Want to learn more about these eco-friendly pest control treatments? You can ask us here! Don’t let spiders drive you out of your home or business! A & J Pest Control is a family-owned and operated business with over two decades of pest control experience. We serve all over the Central Illinois area, accept all major credit cards, and require no annual contracts! Contact us online or call us at 309-360-7422 now to request your appointment! We can inspect and treat residential and commercial properties for many types of pests, including termites, spiders, bed bugs, and ants! For a list of other pests we can control, check out our Bug-o-Pedia!